XR Brands Flex Tip Cleansing Bulb. Be confident. Be prepared. The Clean Stream brand is a collection of enema accessories ranging from affordable disposable applicators to high end drip bag systems. This thoughtful variety offers something for every consumer and makes it easy for first-time retailers and shoppers alike to test the waters. 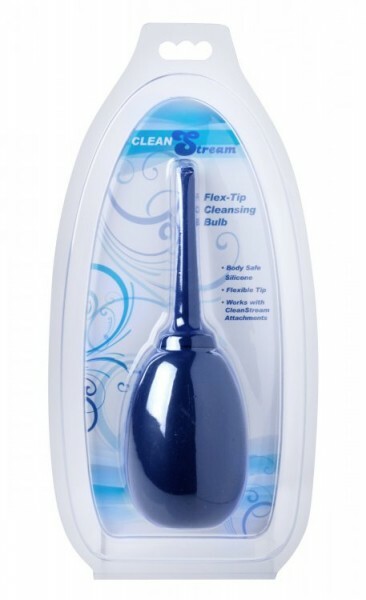 The Clean Stream Flex Tip Cleansing Bulb is a versatile and accommodating addition to your cleansing regimen. Made of body safe, premium silicone so it is durable and clean up is a cinch. 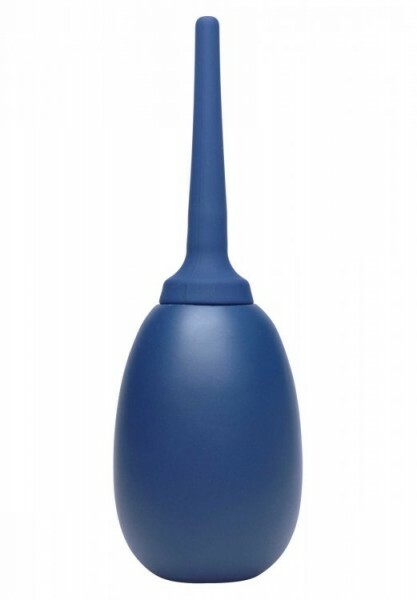 This premium bulb includes a flexible tapered tip so it bends with your body. The threaded screw at the base of the tip is made of body safe ABS plastic. The removable tip can also be used with any of the Clean Stream Shower System and cleansing bags. Measurements: 7.5 inches in height, 2.5 inches in diameter. Bulb holds up to 250 ml or 8 fluid ounces of liquid. Materials: Silicone, ABS plastic. Color: Blue .